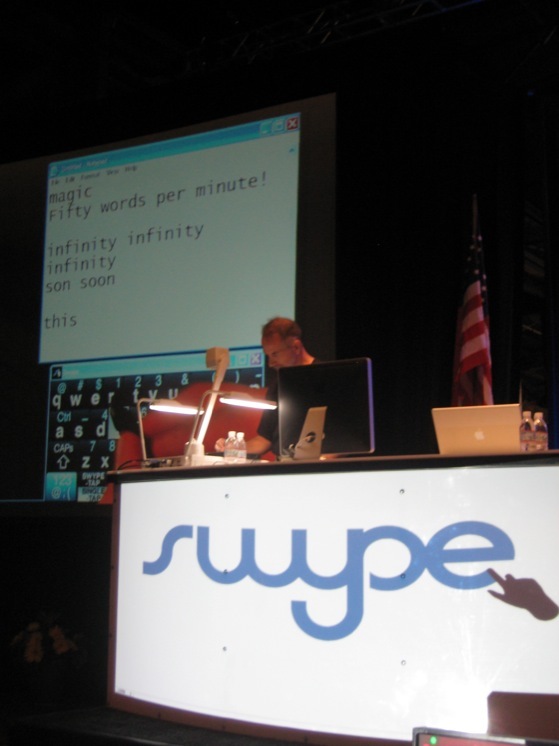 Swype is an amazing gesture-based data entry system that truly blew our collective minds at TechCrunch50. 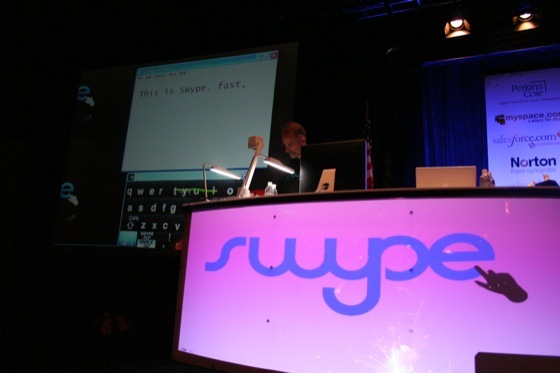 To type, you simply connect letters together using a stylus or finger and predictive text to pick letters and words out of seemingly unintelligible squiggles. Above is a video of two of the judges trying out the technology for the first time. 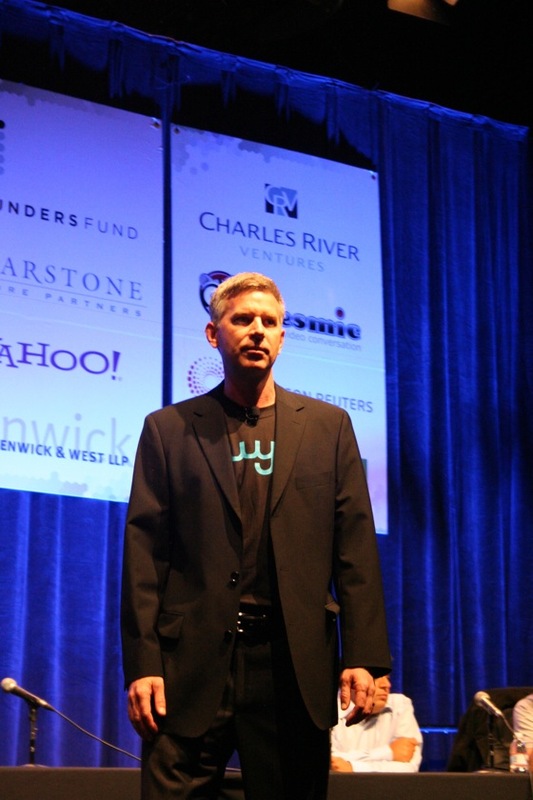 (VC Josh Kopelman, who tries it first in the video, doesn’t grok it quite as quickly as Twitter founder Evan Wiliams). One of the founders, Cliff, created T9 and is well aware of the limitations – and possibilities – in the data entry space, especially in mobile. This is similar to the iPhone app Shapewriter but this system is substantially more robust and very powerful. It works on Windows Mobile and Windows right now and will soon be available for the iPhone. 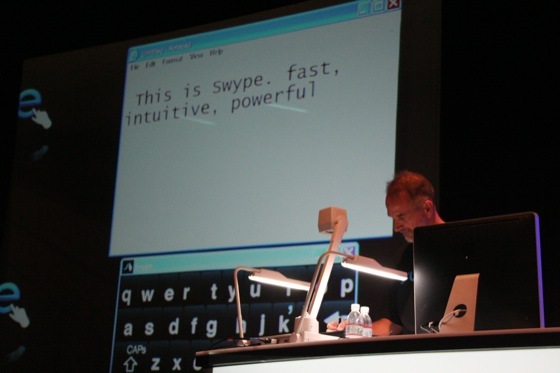 In the demo it was clear that you could type about 50 words a minute just by scribbling on the screen. Because you don’t really have to hit all the letters and because the system has excellent error-handling, you don’t even have to hit all of the letters. Click here to watch the video of the demo.